Down to $28,473.08 on Sallie Mae. Last month I was at 29,377.51. I will be under 28k in no time at all. I may not make my target of paying this off before my 33rd birthday, but I am ramping things up quite a bit. Thanks heavily to the budget my bf and a friend helped me put together. I know it’s irony that two people who don’t have blogs about getting out of debt helped me stay on path. I got a bonus at work this week. I wasn’t expecting much, but including my retirement contribution over it was a couple hundred more than I had otherwise so not complaining. My bf also got his bonus and wrote me a check out for $1000 (415 went toward home repairs) toward my debt pay down efforts / long term savings. He didn’t have to do that and I’m quite appreciative. 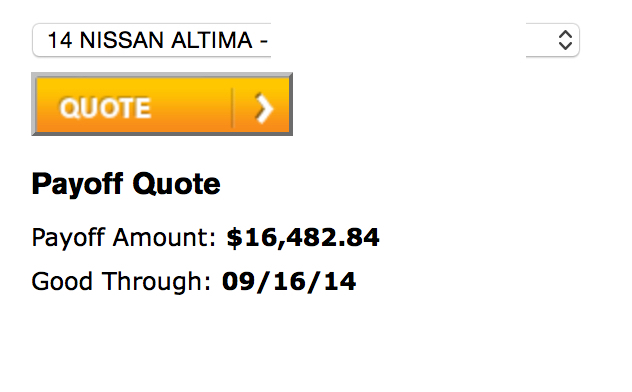 For September staying on target for the $1k toward Sallie Mae goal I set some months back. Might go over actually. If I paid $452 for the month, then add $500 I was given plus $500 extra I intended to pay anyway. The idea of having debt outside the mortgage until 2019 is quite unsettling. Even though it’s 0%, if I were to lose my job tomorrow I’d still owe that money to NMAC. $4651 total. 14 months ago I didn’t have a penny in retirement. I differ with Dave Ramsey’s philosophy of not putting any money toward retirement when paying off debt. Especially if you waited until your 30s (or later) like me to start the process going. You can’t turn back the years or offset a company match you might have made. I’m still paying extra toward it. Good job on resisting temptation! I know how hard that can be. And I agree with you – you need to start saving for retirement earlier – if I waited until my student loans were paid off, i would be really far behind. Time does help with saving for retirement. I also keep more than $1000 in an emergency fund. $1000 wouldn’t even cover rent in the city where I live!